What is fell running and how is it different to cross country and trail running? Is there a clear distinction between fell running and mountain running? Fell running is traditionally a British sport that shares many of the same characteristics as other forms of off-road running; cross country, trail and mountain. However, it is unique in the sense that races are so unpredictable in terms of the weather and terrain. You have to be a much stronger and hardier athlete to cope with the environment. Speed isn’t necessarily the key, but rather strength and resilience. Experience and mountain-craft also play a huge part. You need to be able to find the best lines, because often you are running on a vague trod (or not!) between two checkpoints. There isn’t always a clear path and it’s usually safer to trust a compass rather than other people in a race! The video below shows footage from a typical Lakeland fell race (Blackcombe 2017 – courtesy of Lee Procter and inov-8). In the UK, trail running is similar to fell running, but again there is significantly less climbing and the trails/paths are more obvious to navigate and easier to run on. Mountain running is perhaps the closest discipline to fell running. Both have similar types of gradients (up and down) with the only difference being the terrain (see pic below). The fells are more difficult to navigate during a race, with fewer obvious paths and tracks to follow over much wetter, boggier and softer ground. I would also say that mountain runners are typically faster athletes than fell runners as pace plays a more crucial role in races. What makes it so special from your perspective? Fell running is a very unique and specialist sport. It has taken me to places that I would never have imagined I’d ever visit. I’ve seen glorious sunrises, breath-taking sunsets, stunning views and beautiful wildlife. I’ve also been fortunate enough to run with the legends of the sport and shared precious moments with like-minded friends that I’ll remember for the rest of my life. One thing that I love, across all its forms, is that the ‘superstars’ are a different breed of elite. There’s no arrogance or bravado. It makes a refreshing change given what you see happening in other sports. It accepts athletes of all abilities and encourages them to take part. The fact that it’s not elitist means you’re just as likely to share a post-race pint with the winner as you are with the person who finishes last. What are the key attributes from a physical perspective? Fell running is like a drug, it’s seriously addictive. You’re not just competing against other people in the race, you’re battling against both the elements and the terrain. It’s seriously hard, both physically and mentally. There are no short cuts and no easy races. You have to learn to embrace the pain and push your body to the extreme. Your legs need to be strong enough to cope with the steep, challenging climbs and handle hair-raising descents at breakneck speed. It’s one hell of a tough sport but extremely rewarding. What does it give you that road running doesn’t? Fell running couldn’t be more different to road running. The latter is a far more commercial sport. It’s also more expensive to compete and there is significantly less risk of getting lost, injured or being fatally exposed to the natural elements. For me, I find road running too predictable, boring and safe. I like the challenge of the environment, competing against the mountain rather than the clock. Within fell running there is also a greater feeling of camaraderie. My biggest rivals might run for different clubs but in reality we’re all part of the same team. A secret society of friends who all share a love and passion for the outdoors. It genuinely feels like you’re part of one big family and that to me is what makes our sport is so unique and special. How accessible is the sport to beginners and how do you get started? Fell running encourages athletes of all abilities to take part and it’s really easy to get involved. It’s also very cheap compared to road running. A typical race costs around £5 and you can win anything from a bottle of wine, to vouchers for your local running shop. One of my most memorable prizes was a 4 pack of toilet roll, for finishing in 2nd place in the Blackstone Edge fell race! Proof in itself that fell runners compete for the love of the sport and certainly not for the money! I ‘fell’ into the sport by complete accident (excuse the pun). After trying my hand at cross country, it wasn’t long before I was searching for another, bigger adrenalin rush. Someone I know suggested I do a fell race. It began with a steep uphill climb and finished with a wild and crazy descent. My body was working at its full capacity during the entire race, my lungs were on fire and my heart rate was off the scale! But despite the pain, the hurt and the jelly legs, it was a feeling I’ll never forget. I felt alive and free, enjoying the finest natural high in the world. To try a fell race for yourself, check out the Fellrunner website for the full fixture list. There are also lots of fell running clubs throughout the UK and anyone can become a member. Explain the tactical and mental skills required – such as picking the best line, the importance of a recce beforehand etc. Like any sport, preparation is the key to success. Races are won and lost by seconds, so it’s important to recce routes and choose the best lines. Knowing which direction to run definitely helps, but the weather is so unpredictable that no route ever looks the same on race day! I always recce my important races and train specifically for those key events because I don’t like to leave anything to chance. The more confident I am about a route and my own ability, the more chance I have of winning on race day. Having experience helps to make you a better fell runner. You need to know how to race, judge your efforts correctly, know which lines to take and most importantly, learn how to navigate safely across dangerous and challenging terrain. Fell running is extremely tactical and unlike other sports the best athlete doesn’t always win. It pays to run smart. The gear required – how specialised does the footwear need to be for those starting out? What are the other key bits of kit? In theory, you don’t need much kit to get started. However, if you want to improve and make marginal gains then you need to use the best equipment on the market. Shoes, for example, are the most important kit you’ll need in order to perform well. Comfort, grip and weight are essential when choosing the right footwear. 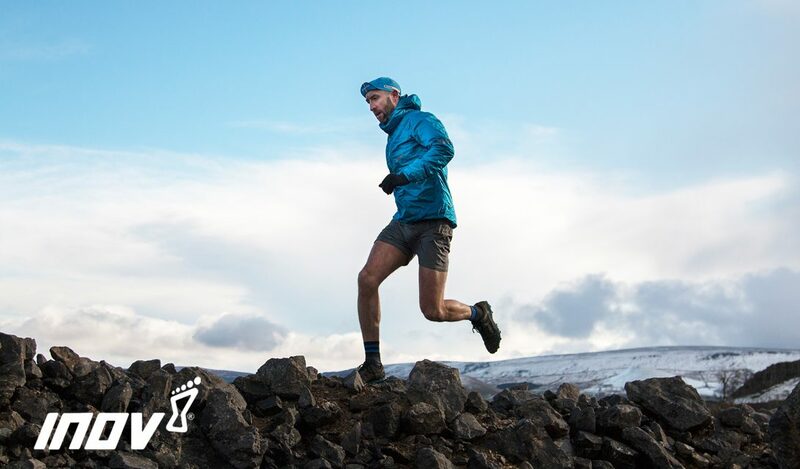 I use the inov-8 X-TALON precision fit range for fell running because they’re light and provide excellent grip over the roughest terrain. The X-TALON 212 are my favourite for training and the X-TALON 225 are my preferred choice for racing. I use a range of specific footwear for all types of running. I favour the ROCLITE 290 for the trails and the MUDCLAW 300 for extreme fell. It’s important to wear the right shoes as they will give you the extra confidence you need on that particular terrain. Check out the video below to see exactly what I’m talking about (courtesy of Andy Jackson and inov-8). Nothing claws through mud like the MUDCLAW 300! Read more about them here. In terms of apparel, the best piece of advice I can give is to wear merino. I wax lyrical about the super powers of merino – it’s simply the best. When it comes to base layers there is no better alternative. I even wear merino underpants. 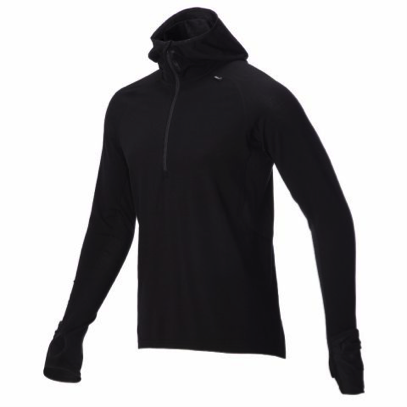 However, by far the best bit of running clothing I own is the inov-8 long sleeved hooded merino base layer. Yes, it’s expensive gear, but it’s worth every penny. Given all of which, what makes the perfect fell runner? ‘To be the best fell runner you have to climb like a mountain goat, run like the wind on the flat and descend like a demon’. He’s absolutely right. The perfect fell runner is someone who can do it all, over every distance. To win the English Fell Championship you have to be able to compete on all types of terrain, from anything between 3 – 25 miles and in all types of weather conditions throughout the duration of the season (February to October). It’s a tough ask. But then again, athletes don’t come any tougher than fell runners – we’re a different breed altogether. All photography by Dave McFarlane (courtesy of inov-8). If you enjoyed reading this blog then please SHARE and FOLLOW on social media. A great read about fell running from one of the best around at the moment Ben Mounsey. Perfectly explained! Indeed, it is addicting especially everytime you feel the adrenaline rush while running on unique routes!